With big races in the 1K and DMR looming at the VA Showcase from January 19-20, Brentwood (TN) High senior and University of Oregon commit Brodey Hasty laced up at Vanderbilt University against collegiate talent and put down a U.S. No. 1 time in the 800m of 1:54.30. Hasty, the recent runner-up at NXN, finished 11th overall and fourth in his section against a talented field that ultimately saw University of Texas-El Paso sophomore Michael Saruni drop a winning time of 1:45.92. 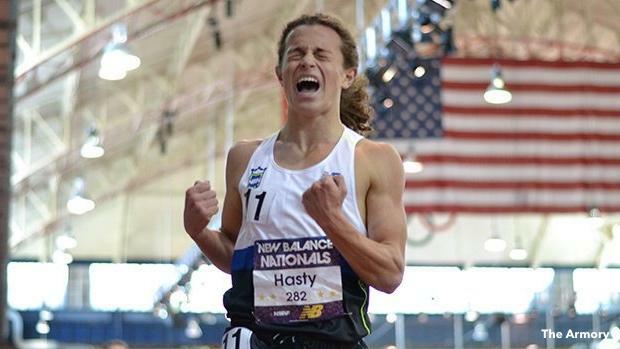 While Hasty hasn't typically raced at this distance over his career, his outdoor PR from 2016 was 1:57.14. The effort allowed Hasty to shake off any rust before his trip to Virginia next week, where he will try to best his 2:31.22 from the VA Showcase a year ago. And in the first indoor 800m of his career, he certainly did that. University of Florida junior Kyren Hollis won Hasty's section on Saturday in 1:52.32, while Hasty went toe-to-toe with MTSU's Trevon Sanders (1:54.23) and Florida's Jack Beitter (1:54.27).